Astragraphia Document Solution is an exclusive distributor for Fuji Xerox in Indonesia and also document solutions that inspire customer business improvement through the best systems and processes. As a document solution provider, Astragraphia Document Solution also presents products in the feeding & finishing category. 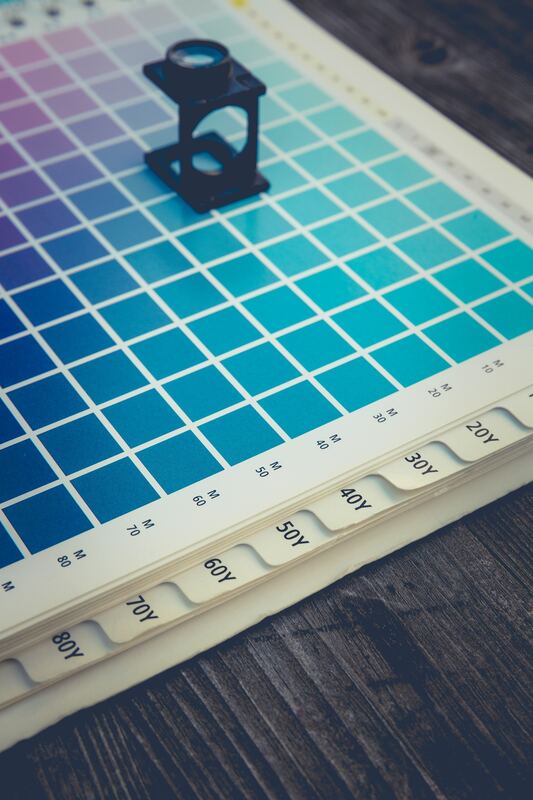 One of Astragraphia's portfolio, Graphic Communication Services (GCS), answers the market needs for printing documents on a production scale or graphic art. And one of the document printing products is Uchida Aerocut Prime which specializes in cutter & creaser, the ideal solution for digital print applications, such as business cards, postcards, greeting cards, tent cards, tickets, leaflets and more. With a media width of 120-400 gsm, paper size 370x680mm, 9x21 speed up, business name cards (SRA3), 14x8 up postcards (SRA3), 15x4 up greeting cards (SRA3), 21xA3 leaflets + center crease (SRA3), including cross & jump perforation units. AeroCut Prime is designed, built and calibrated with Japanese technology that has the best expertise. The powerful full-metal body engine continues to level up the accuracy and quality of finishing that can be relied upon at all times. 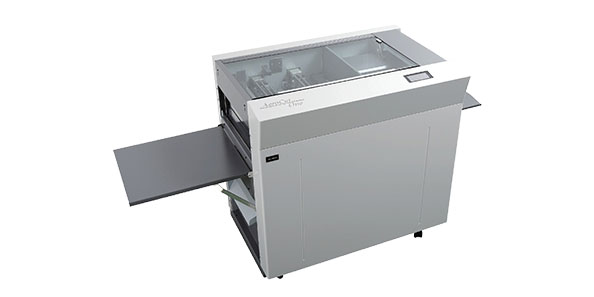 AeroCut Prime is the top-end technology and knowledge slitter, cutter and creaser display that has been stored since the launching of the AeroCut original in 2009. AeroCut Prime has the best capability by adding optional perforation units. Prime AeroCut with complete specifications offers a variety of finishing functions on your printed products. AeroCut Prime is the ideal solution to solve especially short-term digital print applications, such as cutting business cards, postcards, invitations, greeting cards, leaflets, tickets and more. AeroCut Prime saves time and money for print shops, internal printers, commercial printers and more. With an internal 7-inch touch screen, Prime AeroCut allows operators to set work programs and run machines intuitively and instantly. The tray can hold up to 680mm in length. The "tri-suction feeding mechanism" patent dramatically reduces the risk of double-feed prevents paper jams inside and increases productivity. • Strong Slitters and Guillotine. Self-sharpening slitters and guillotine allow the machine to cut 400gsm of stock every time. The AeroCut Prime is now removable, not only facilitates cleaning but also provides better access to components in case of paper jams. Astragraphia Document Solution provides service services for the maintenance of Feeding & Finishing machines can be purchased through the Astragraphia Branch Office. No one wants to take the risk of having sensitive information exposed to all offices. However, there are ways to prevent this from happening once and for all, namely SecurePrint.